During SBAC testing, students should get a good night sleep, have a healthy breakfast, and arrive to school on time! Here are the info on SBAC test! Please mark your calendars. Open house is on Thursday, April 27th. 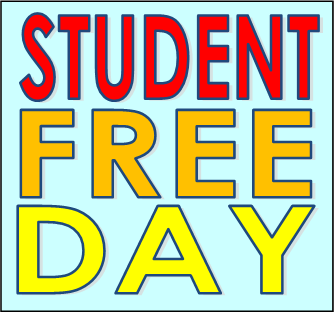 All students will be on Modified Day on Friday, April 28th. Have a safe and restful Spring Break! Classes resume on Monday, April 8th. Students in grades K-5 will be assessed using the MAP in reading and mathematics. MAP is a growth model assessment and it’s administered three times in a school year. It is used to measure an individual student’s progress over time. Remember to set your clocks forward one hour at 2:00am on Sunday. You will lose an hour of sleep, but you'll gain an hour of daylight in the evening. 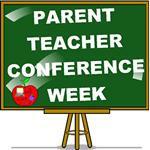 Parents mark your calendars for the upcoming Parent-Teacher conference week in March. Our school will be on Modified Day schedule all that week in order to provide time for teachers to conference with parents regarding student progress. Read Across America Week, Monday February 25, 2019- March 1, 2019. It's that time of year again! Time to "Grab your hat and read with a cat!" We will be Celebrating Read Across America the week of February 25th - March 1st , With the support of our wonderful PTA we will be welcoming many distinguished Guest Readers all week long. As we begin aiming high in April, here are just a few of the incredible things that our Gators and families have been up to in March. At the beginning of March we ended our celebration of Read Across America with volunteer readers visiting almost every classroom on campus. Garfield also held its second STEAM Family Night. Gator families had the opportunity to participate in science, technology, engineering, arts, and math activities together. Gator families who attended definitely “Raised the Roof “ with STEAM! As a Project Lead the Way school, our Kindergarten students became engineers as they developed strong houses to withstand the huffing and puffing of the Big Bad Wolf! What an incredible learning experience for our youngest engineers, ensuring that we are preparing them for the 21st Century! Since Garfield is dedicated to the arts, all students at Garfield learned about art master Klee at their Meet the Masters Assembly. Shortly afterwards, students received art instruction from a real art teacher and created amazing pieces work using watercolors. with the help of our parent volunteers. Ms. Olivas’s third grade Gators lit up the stage as they performed their Biomes Musical! Second grade classes each participated in a different art workshop or field trip provided a grant from OCCCA. Thank you Mrs. Reynafarje for reaching out to our community partners. Many of these second grade experiences took place on and off campus with our art partnerships in close by Downtown Santa Ana. Fourth and fifth grade Gators also competed during Garfield’s Annual Spring Olympics. Thank you to our parents who came out to support this event. We could not have done it without you and the organizational skills of Ms. Rhone. As a direct result from our partnership with Playworks and Coach Thor, our co-ed soccer team played their hearts out while they competed against other schools from Santa Ana. Way to play like champions Gator Soccer Team. You absolutely made us proud this season! At Garfield, our main focus is absolutely academic success. This month our K-2 grade teachers work hard deepening their levels of math instruction working with our Math Coach, Mrs. Kiebler. Our teachers focused on best instructional practices in terms of Math Expressions, Daily Routines, and number talks. Our students are being held accountable for explaining their mathematical thinking, showing their work, and using academic language during math instruction. Garfield is absolutely building a community of Math Talk. On a different note, our Battle of the Books teams fiercely competed against students from private schools and a few public schools at St. John’s Lutheran Church in Orange. Great job Gators! A special thanks to Mrs. Arcemont and Mrs. Reynafarje for coaching our team of incredi-readers! During a Saturday day tournament, our Speech and Debate team, coached by Ms. Jurado also made us proud through their countless hours or hard work and practice that truly paid off. Due to the fact that we acknowledge the importance of early learning, our kinder teachers facilitated our first two Padres Poderosos Workshops. Three more workshops will continue into April-May. Our Kindergarten teachers will be facilitating these sessions along side our parents leaders. Sessions will include health, science and math, and school readiness. These sessions are focusing on ages 1 year-5 years old. All workshops are hands on with their child and include activities to make and take home with you. Please see the office staff for more information. Community partners will also be at each session ready to help parents with their unique needs. During our monthly parent meeting we reviewed how set your students up for success during STATE SBAC testing. Prizes were raffled off and all parents who attended. Our SAELI Neighborhood Leadership Team of parents led by Ms. Idalia Rios presented our plan for the Garfield Wellness Center to Board members and District leaders. Thank you parent leaders for taking the time to support and engage the Garfield Community! Thank you parents for your continued partnership and support. As educators and parents, we must all hold our students accountable to the highest of expectations! Don’t Hide the INCREDIBLE in you!